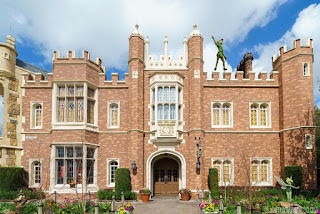 Mr. and Mrs. Easter Bunny will be hosting Easter Egg Relays and Hunts on Easter Sunday April 1, 2018 at Epcot's United Kingdom Pavilion. The Easter Egg hunt is open to guests ages 3 to 9, and the Easter Egg Relay for children ages 8 to 12.
take place at 11:40 AM, 12:40 PM, 1:40 PM, 2:40 PM and 3:40 PM. Mr. and Mrs. Easter Bunny will also be on hand for meet and greet photos from 11:30 AM to 4:00 PM. As always, space for the relays is limited, so check in early (up to 30 minutes before each hunt) to get a place. Be sure to check times guides on the day for any changes to schedules. 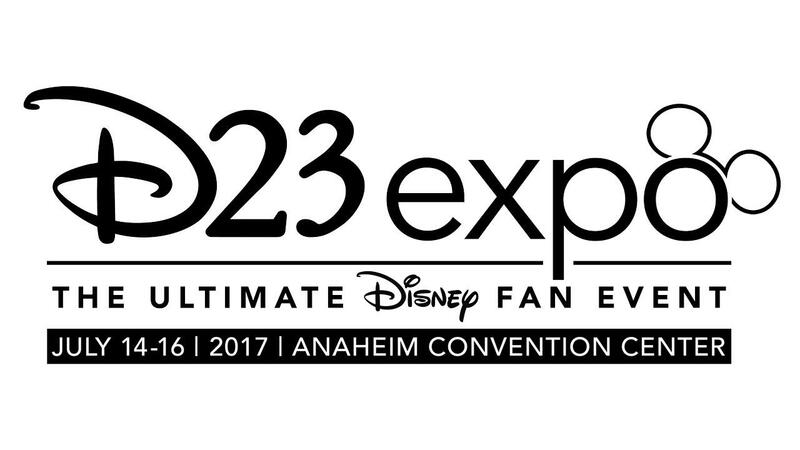 Disney has Announced that the D23 Expo 2019 will take place August 23 - 25, 2019 at the Anaheim Convention Center. The biennial event brings together tens of thousands of Disney fans from around the world, and in 2019 will include more than 50 shows, presentations, and panels, including the Disney Legends Ceremony; an all-new exhibit curated by the Walt Disney Archives; a daily parade down the middle of the show floor; D23 Expo’s costume contest, Mousequerade, showcasing the most creative designs by fans; and the D23 Expo Design Challenge. All of the popular presentation venues will return, including Hall D23, the Expo Arena, Stage 28, and Center Stage. The 2017 D23 Expo saw numerous announcements for Walt Disney World, including Mickey and Minnie's Runaway Railway, TRON Coaster, Guardians of the Galaxy coaster, Ratatouille, Disney Riviera Resort, Disney Skyliner, Minnie Van Service, and a Space themed restaurant. Tickets for D23 Expo 2019 will go on sale at D23expo.com beginning August 23, 2018. Special pricing on both one- and three-day tickets to the event—including an Early Bird Discount—will be exclusively available to D23 Gold Members. D23 Gold and Charter Members will also be entitled to special benefits at the 2019 Expo. D23 Gold Members will also have an opportunity to purchase the Sorcerer Package, which provides a host of special benefits and amenities. Ticket prices will be announced later this summer. 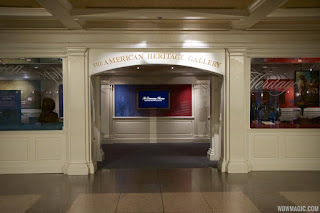 "Creating Tradition: Innovation and Change in American Indian Art" is a new exhibit coming to the American Heritage Gallery at Epcot. 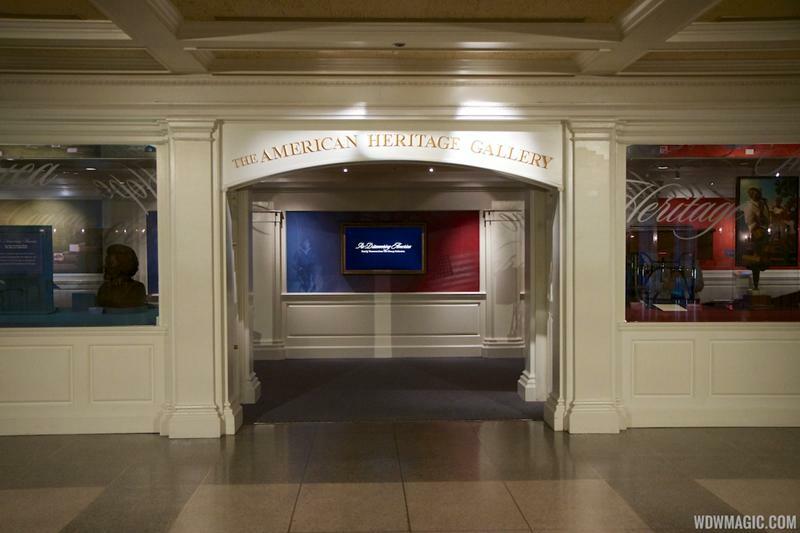 Opening this summer, the gallery inside the American Adventure pavilion will be produced with the collaboration of the Museum of Indian Arts and Culture (MIAC) in Santa Fe, New Mexico, and the Smithsonian’s National Museum of the American Indian (NMAI) in Washington, D.C. Some of the featured artists with works on display are fashion designer Loren Aragon (Acoma Pueblo), noted doll maker Glenda McKay (Ingalik-Athabascan), and Juanita Growing Thunder (Assiniboine Sioux) from the Growing Thunder family of Montana. Similar to previous exhibit at the American Heritage Gallery, this new exhibition will feature interactive elements, where some of the artists will share the creative process and inspirations behind their works in their own words. Graphics technology company NVIDIA has revealed a few details about the upcoming Star Wars Galaxy's Edge Millennium Falcon attraction, set to open at Disney's Hollywood Studios and Disneyland Resort in 2019. Walt Disney Imagineering has partnered with NVIDIA, ILMxLAB and Epic Games to develop new technology to drive the attraction. Guests will enter the cockpit of the Millenium Falcon, with the on-screen visuals powered by a single BOXX chassis packed with eight high-end NVIDIA Quadro P6000 GPUs, connected via Quadro SLI synchronizing five projectors. You can see a sample of the on-screen visuals from the Millennium Falcon attraction at the NVIDIA website.